Schnitzelburg Area Community Council: Front Porch Wednesdays! It's Hump Day, so you know what that means? 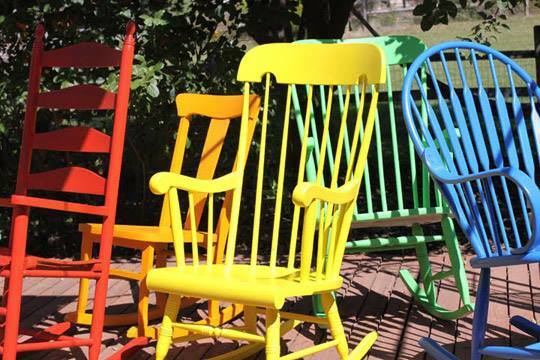 Grab a glass of lemonade, go outside and take a seat! For three years, during the nicer months, the SACC has promoted Front Porch Wednesdays as a way for people to get outside and get to know their neighborhood. The idea is very simple in that is it "neighborhood night." Spend some time sitting on your front porch. Take the dog for a walk. Do some yard work. Pick up a bit of trash around your house or the neighborhood. Stop by a local pub. Check out Emerson Gardens and take the kiddos to the playground. Start a walking club with a group of neighbors or friends. We know not everyone can participate, perhaps due to work or other commitments, but we hope most of you can participate either once in a while, or on a regular basis. Most Wednesdays, local bars and restaurants will run a special in conjunction with Front Porch Wednesdays. What is not to love about a drink special at Pauly's Schnitzelburg Pub or or a specialty pizza from Danny Mac's? Check our Facebook page for the most up-to-date information on Wednesday specials. We look forward to seeing you out and about this Wednesday, and future Wednesdays, in the neighborhood. Try to make an effort to smile or say hello to everyone that you meet and get to know your neighbors!